Student: Mile high Denver! You were there from 1968 to 1981. Professor: Yes, I was assigned to the Nut Lab, that is, to the US Army Medical and Nutrition Laboratory. That’s near where Eisenhower went and did his cardiac rehabilitation. 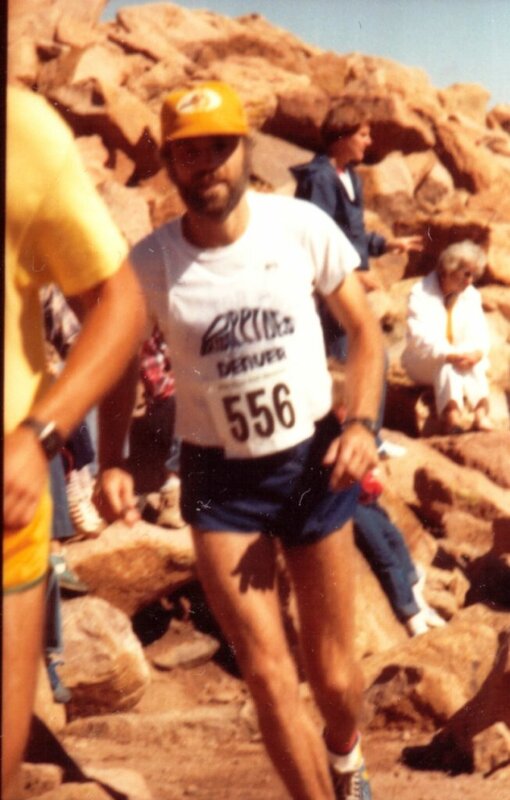 Student: And your picture on this website’s home page shows you running half way up the Pikes Peak Marathon. WOW, you ran up and up, ascending some 7,700 feet (2347 m) to the top of that 14,115 foot (4300 m) mountain. Most likely I was moderately gasping for breath, still could feeling I was catching my breath. Student: How much higher up that mountain was it that you could not catch your breath? It was maybe at about 12,500 feet, well, another 3 miles running, I really noticed I was getting quite short of breath and had to slow down my pace ‘to catch my breath’. Student: Are there more sensations to the undifferentiated symptom of Dyspnea in addition to ‘gasping for breath’? to see these Subjective Qualities of Dyspnea. Professor: And today is a BIG Holiday in the USA. Off for a long hike with Anne’s Grandkids and their Mom and Dad. Student: Will there be more vignettes on the symptom clusters of dyspnea next week. Next: Discrete symptoms, subordinate, and ordinate clusters of undifferentiated Dyspnea plus a start at understanding the physiological substrata.